Whilst on holiday in Devon I met up with a wildlife friend to visit a nature reserve, Chudleigh Knighton Heath, near Bovey Tracey. This SSSI site of predominantly acid heathland is managed by Devon Wildlife Trust (DWT). However it took a good hour to get onto the site proper due to the initial distraction of the local herb-rich roadside verges. Damp ditches were particularly productive including Lesser Spearwort (Ranunculus flammula), Water Mint (Mentha aquatic) and Sneezewort (Archillea ptarmica). Sneezewort is a close relative of the more ubiquitous Yarrow (Archillea millefolium), being named due to its past use as a sneezing powder (PFAF, 2010) which provides its Latin name ptarmica, derived from the Greek ptario meaning ‘sneeze’. 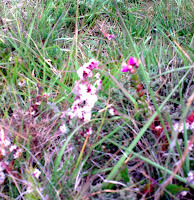 On the reserve itself we quickly found three members of the heath family; Bell Heather (Erica cinera), Cross-leaved Heath (Erica tetralix) and Heather itself, also known as Ling (Calluna vulgaris). We also found several specimens of Lousewort (Pedicularis sylvatica), a curious plant with over-proportioned flowers and ecologically, a grass parasite akin to the closely related Yellow Rattle (Rhinanthus minor). 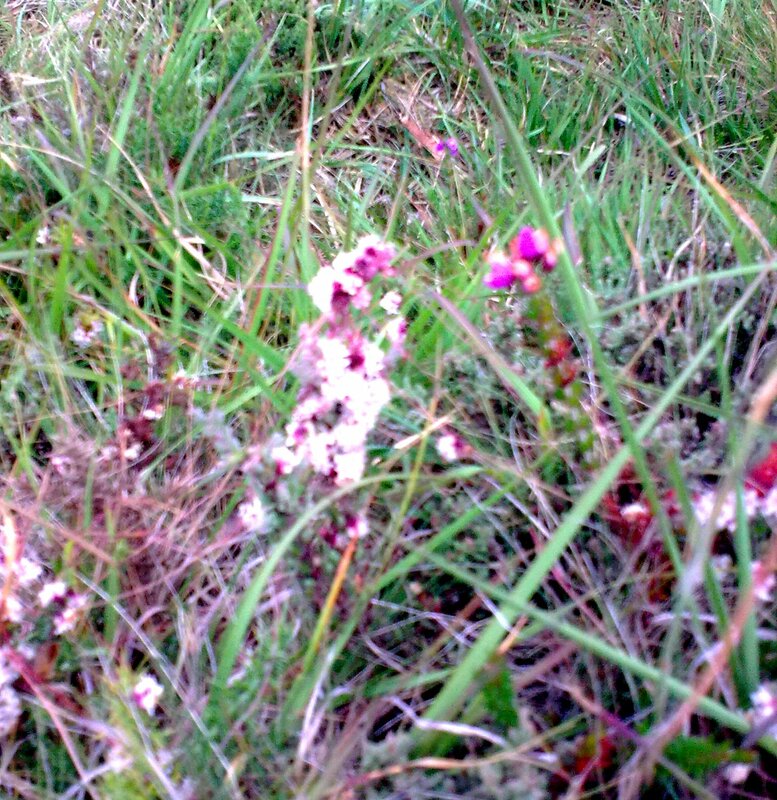 But then suddenly my friend Greg dropped onto his knees and started to feverishly investigate a patch of Heather. Breathing excitedly and through snatched breaths he managed to stammer “Dodder”. He then stood up and provided a pre-emptive apology, before performing a rendition of a ‘Rumpelstiltskin’ hopping dance upon the heath, a means to release the sheer and utter joy of seeing such an exquisite and (our) first sighting of this species. Dodder (Cuscuta epithymum) is indeed a wonderfully interesting species, parasitising typically heather and gorse. Lacking chlorophyll and with vestigial leaves, they cover their hosts in a mass of intertwining threadlike red stems and pink clusters of flowers. 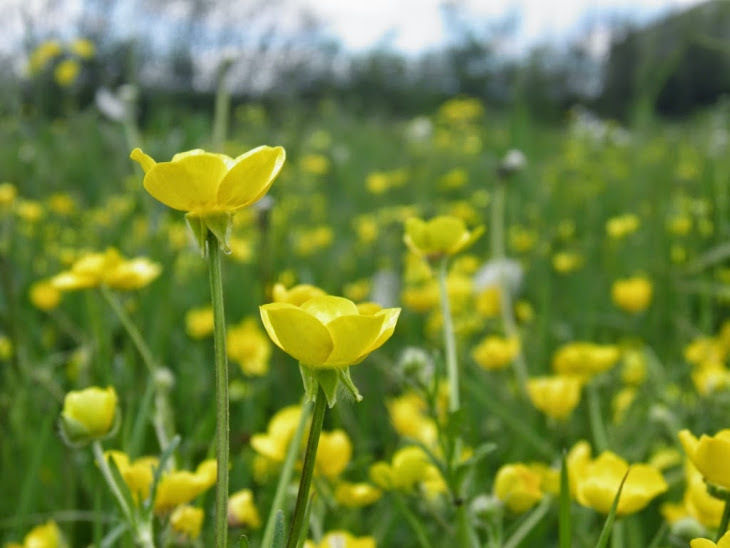 It is however now uncommon in the UK, having declined significantly during the past few decades due to habitat loss. There is evidence that it does benefit from habitat management such as grazing or burning as this provides more young Heather plants, its preference (Meulebrouck, et al., 2007). DWT do now have an active management programme including scrub clearance, light grazing and rotational burning, which may well be benefiting Dodder. A few days later I was walking part of the Cornish coastal path near Boscastle and there to my delight was another mass of Dodder, but this time on a patch of Gorse (Ulex europaeus). I managed to resist the temptation of doing the ‘Dodder Dance’ being in a more precarious position, but silently toasted Greg and smiled at recalling his exuberance. Meulebrouck, K., Ameloot, E. , Verheyen, K. and Hermy, M. (2007) Local and regional factors affecting the distribution of the endangered holoparasite Cuscuta epithymum in heathlands. Biological conservation, 140 (1):8 -18.